The word giclée is based on the French words gicleur, which means “nozzle,” and gicler, which means “to squirt, spurt, or spray.” Giclée was created by a printmaker in the early 1990’s who wanted a distinguishing name for the new type of prints from large format, high resolution inkjet printers adapted for fine-art printing. Giclée has come to represent the highest standard in professional, museum quality print for artists and photographers. I am an artist, designer,and photographer. I understand your needs. I attend one-on-one with each client to assure the highest quality production. Owned and operated since 2010, my goal is to provide the highest professional quality print and photographic reproduction services on the West Coast. I partner with photographers and artists to achieve the most professional print results. In order to obtain the highest standard of print quality, my HD monitors are frequently calibrated. I work with your RAW or TIFF or psd image files to optimize color balance and resolution. I work in ProPhotoRGB color space to provide the fullest color gamut. I use custom printer and paper profiles for the most accurate color reproduction. I use the finest and latest generation of Epson printers and Ultrachrome HD archival inks. 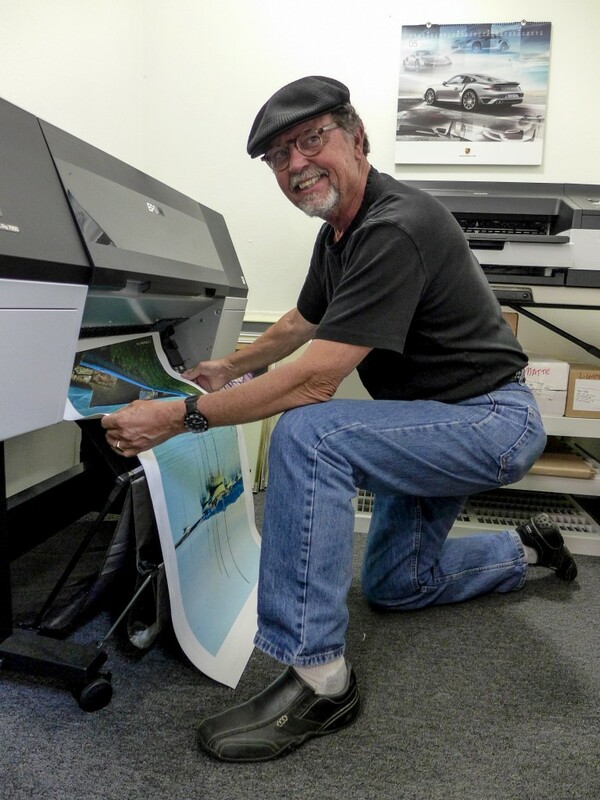 Our My Stylus Pro 7900 prints up to 24” wide. And my Stylus Pro 9900 prints up to 44″ wide. Whether you want matte, hot press, cold press, satin, luster, glossy, bright white, natural, or metallic, we use Epson and Red River museum and fine art quality papers and canvas. If you have a favorite paper or canvas that I do not happen to have in stock, I will order that paper or canvas for your job. I also have a complete photographic shooting studio, offering professional quality digital imaging and post-production file editing.